Shopping for a new sporty crossover SUV can be a fun and exciting time, especially if you visit the right dealership. 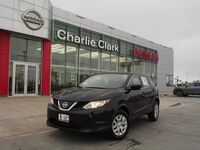 At Charlie Clark Nissan, we want to help you find the crossover SUV that best suits your specific driving needs and budget. One of this year’s hottest new vehicles that have drivers flocking to their local Nissan dealership is the 2019 Nissan Rogue Sport in Brownsville, TX. 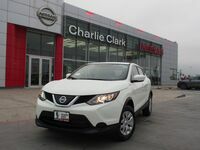 The 2019 Nissan Rogue Sport is a stylish new compact crossover SUV that offers sporty driving dynamics, excellent fuel efficiency, impressive versatility, and great capability while also offering you an amazing list of technology features and comfort options to choose from. The five-passenger 2019 Nissan Rogue Sport trim levels include the S, SV, and SL. The 2019 Nissan Rogue Sport is a highly versatile and very capable five-passenger crossover SUV. It also offers an impressive list of features and options to choose from thanks to its three available trim levels. No matter what you’re looking for in your new compact crossover SUV, the 2019 Nissan Rogue Sport in Brownsville, TX has it. The lengthy list of technology features and comfort options available in the new Nissan Rogue Sport includes auto industry favorites like navigation, a touchscreen infotainment system, Bluetooth® connectivity, voice controls, USB port, Apple CarPlay™, Android Auto™, NissanConnect® Services, Nissan’s Drive-Assist ® display, ProPILOT Assist, a hands-free text messaging assistant, heated front seats, remote engine start, climate control, power accessories, and many others that help keep you entertained, comfortable, and connected while on the road. Interested in a Nissan Rogue Sport?